Lawrence Clark started planting trees at his apple orchard in South Anchorage shortly after the 1964 earthquake. For years he added trees, experimenting with new varieties grafted onto hardy Siberian crabapple rootstock. When Clark passed away shortly after the 2009 harvest, his orchard on Rabbit Creek Road was in need of serious attention. "You can't really blame him," said Randy Arduser, who, along with his wife, Sonja, inherited the orchard from Clark, who was Sonja's uncle. "He was in his 90s after all." 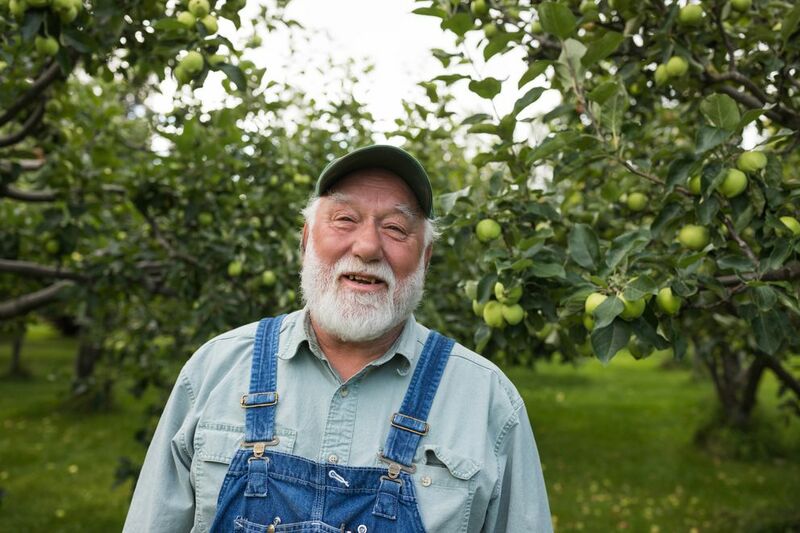 For more than 30 years, between his job teaching at East High and commercial fishing in Bristol Bay during the summer, Arduser helped Clark tend the orchard. Each fall the family would spend a few long days picking apples, 75 to 80 five-gallon buckets' worth, which they would sell from a roadside stand at the end of the driveway. It was hard work. About eight years ago, they began opening the orchard to the public for picking one day each fall. 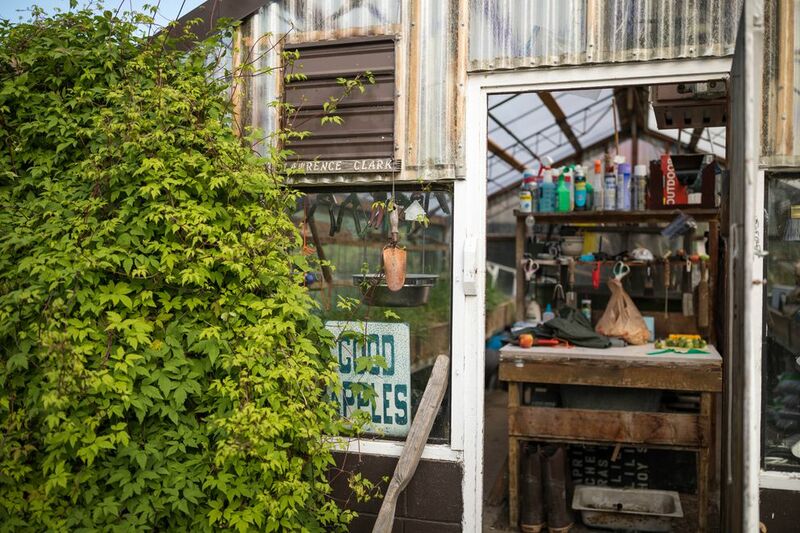 "The last five years or so (Clark) was alive I convinced him to go with a you-pick model," said Arduser, sitting in a plastic lawn chair outside the greenhouse at the orchard Saturday. "He had always been against it, because he was concerned about people damaging the trees. But we've found that people are more than careful, they don't damage the trees." "Most people realize that this is very unique," he said. "There aren't many places like this where you can come and pick apples." In recent years Arduser has been cleaning up the orchard, sorting through things left by Clark, who was a welder by trade. And he has been adding trees. "I've planted seven apple trees and 10 cherry trees this summer," he said. When he runs out of room for new trees, Arduser plans to start grafting new varieties onto the existing trees. "There are so many more really nice apples that I don't have," he said. The Ardusers — Sonja is also a retired teacher — enjoy seeing families come to the orchard once a year to pick apples. "Last year we had 871 people walk through that gate," Randy Arduser said. "I sold over 4,000 pounds of apples." What doesn't sell on the you-pick day is sold to Double Shovel Cider Co., which makes hard cider. Clark's Apple Orchard, 3200 Rabbit Creek Road, will be open for you-pick apples Saturday, Sept. 8, from 10:00 a.m. to 2 p.m. The cost is $2 per pound.